As you’re well aware, Audi has steadfastly remained one of the most iconic luxury brands in the entire automotive industry. There’s a reason for this distinction – it’s because Audi consistently puts out high quality auto choices year after year. The new model prices for Audis can expand outward to staggeringly high amounts. That’s why in many cases, buyers opt for used Audis to enjoy this luxury and performance without the overbearing price tag. From a stylish A4 to an Audi SUV, used models maintain their value and quality over time. What that means is you can expect an excellent quality vehicle when it has been properly maintained over the years. Are you on the hunt for used Audis for sale? If so, follow this quick reference guide below. This will help you better understand all the major models and what they can offer you as a buyer. From there, you can make a much more well-informed decision on all the Audi used cars you consider. Used Audi A3: The A3 is a great used Audi choice that has a comparable size to a VW Golf and is available in a Sportback, saloon, and cabriolet style. 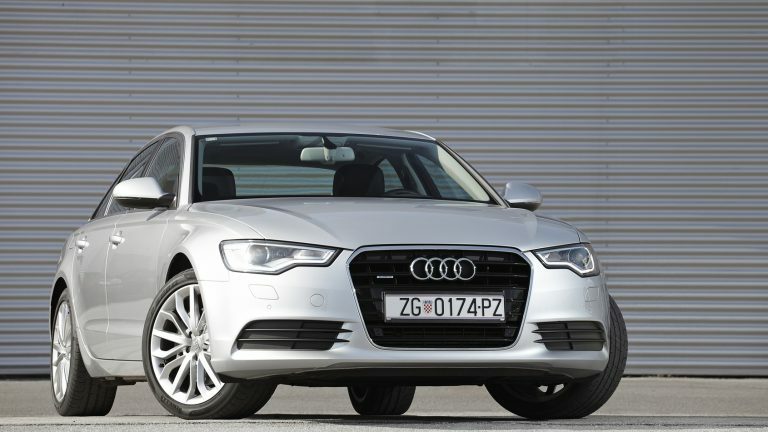 Used Audi A4: A4s are Audi’s answer to the BMW 3s as a saloon-style four door or Avant-style five door with engine choices from a 3.0 liter V6 to a 4.2 liter V8. Used Audi A5: If you’re looking for an Audi convertible, the A5 is a great option. With both a convertible and coupe available, you can enjoy the same engine types as the A4 – and even get this model in a five door Sportback variation. Used Audi A6: The A6 is the larger and more decked out A4 with an available twin turbo 4.0 liter V8 and lots of wonderful interior luxuries. Used Audi A7: As a five door Sportback, this coupe-like offering rivals the BMW 6 Gran Coupe in its size, styling, and features. As always, all the vehicles in the A Line bring you the exceptional luxury features you’d expect from a brand like Audi. To this day, the Audi S4 remains one of the most popular options for buyers who want a much heftier dose of performance alongside their Audi luxury. Buying a used Audi S4 gives you a much sportier version of the ever-popular A4. And this affords drivers excellence in both interior design as well as on-the-road performance. When buying used Audis, you’ll notice a fairly broad range of models, styles, and body types. Take your time to understand current market value and your personal preferences to find the year that’s just right for you. If you’re looking for something a little bigger, the Q Line is your source for a used Audi SUV. The Q5 is a great choice in the midrange class, but the Q7 is the large-and-in-charge flagship of the brand. Like the other models, buying a used Audi Q5 or used Audi Q7 will bring you all the best in luxury interior features and superior performance and handling. Get your Audi used car today.